Every artist I can add to the HANDS collection is something special for me. 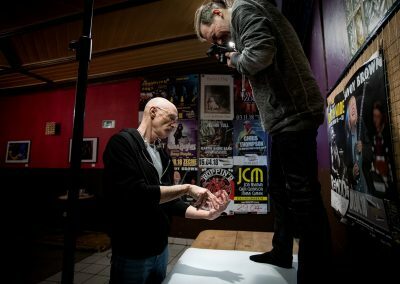 But some are more special, and in this case I am deeply thankful, that this legend let me take photographs of the ends of his upper extremities. He played bass and Chapman Stick on countless records, and a lot of them are part of the soundtrack of my life, like a whole bunch of King Crimson and Peter Gabriel albums. 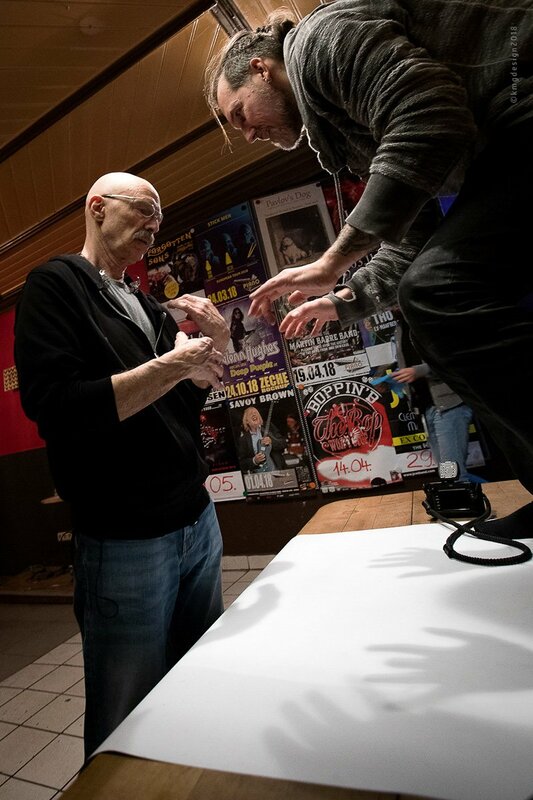 Thank you & welcome, Tony Levin. Besides that I want to thank my friend Klemens Möllenbeck for joining me and shooting the making-of photos.